Heat Pumps or Ductless Heat Pumps? I just want to be cool! – Central Electric Cooperative, Inc.
Central Electric Cooperative, Inc. > Energy Efficiency Blog > Heat Pumps or Ductless Heat Pumps? I just want to be cool! Heat Pumps or Ductless Heat Pumps? I just want to be cool! With summer in full swing, the thought of purchasing a cooling system has been at the forefront of many minds. The typical go to choices are the standard in window air conditioning unit or central air conditioning system, but there are other options to consider. Air source heat pumps! 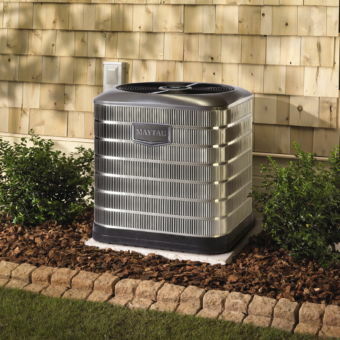 Yes, heat pumps have the ability to efficiently provide cooling and heating. The two common options are a ductless heat pump and a heat pump that would work in conjunction with your central heating system. Both options have their strengths. Consider a ductless heat pump if your home is currently heated by in wall cadets, baseboards, radiant floor/ceiling or even a home with an electric furnace. Ductless systems thrive in relatively moderately sized homes that have somewhat open floorplans. That being said, you can put multiple indoor units in different areas of your home as well. A traditional air source heat pump that works in conjunction with your central heating system is a great option if you already have a central heating system with duct work. The existing system can be adapted, modified and upgraded to accept a heat pump. With either system you will be cool and comfortable this summer, and next winter you will enjoy the comfort and savings of a heating system that is potentially more than two times as efficient as your current system. The greater up front cost can be potentially offset by cash incentives and manufacturers discounts. CEC has two cash incentive programs designed to help pay for heat pump systems. The amount of the incentive depends on the efficiency and type of installation.